When walking up Meeker Street from the L, Element 88 is almost unassuming, its Neo Brutalist pewter-colored facade surprisingly blends in with trees and nearby buildings. 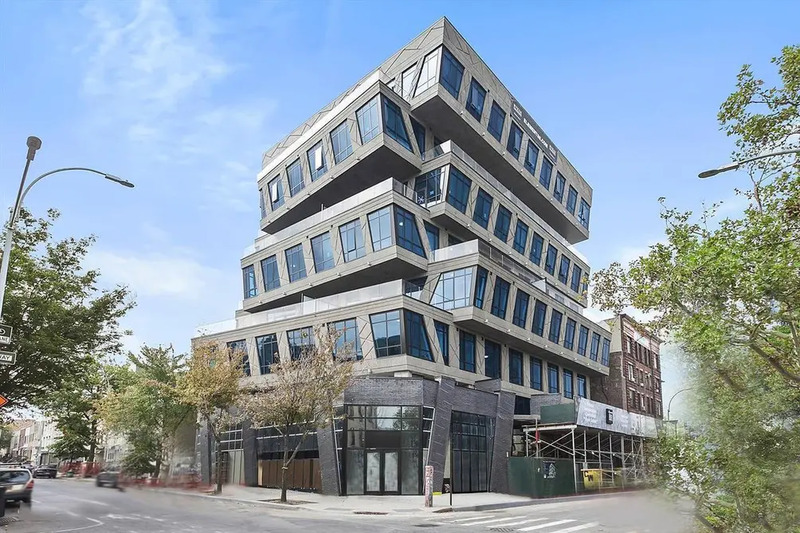 But when approached from Leonard Street or observed from the Brooklyn Queens Expressway (BQE), the Element is singular in its appearance; its concrete forms jutting out from the building’s body like an extension of a living, breathing thing. Inside, each apartment is different thanks to the building’s unique design. The Pacific Blue tinted windows, which are all of different shapes and sizes, create an ever-changing light show on the herringbone floor as sunlight fills the spaces throughout the day. The floors, in turn, exists in beautiful juxtaposition with the marble countertops and the walls. 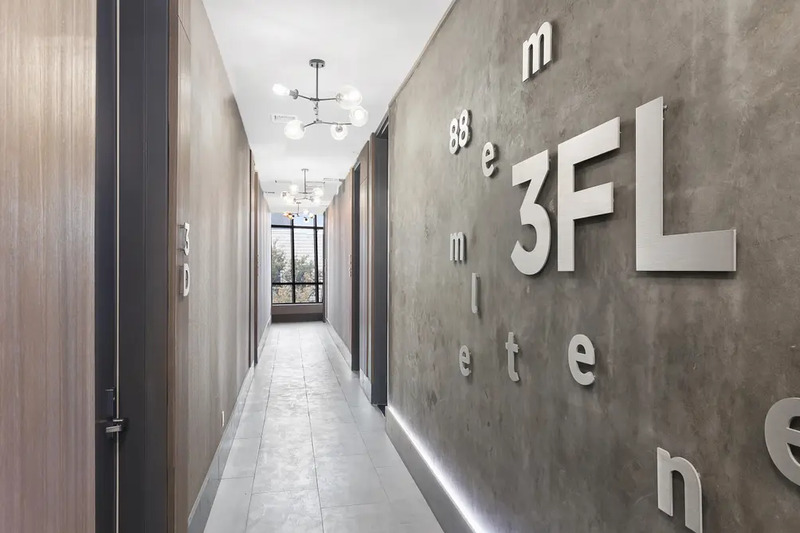 "We wanted to leave an impression,” says Sergey Rybak, the principal of Rybak Development, the team behind Element 88, “We wanted something unique, something daring, something that could evoke an emotion." Rybak manages to leave an impression by sparing no expense in Element 88's construction. Take the exterior walls, for example. They’re 10 to 12 inches of reinforced concrete. Most buildings have six inches, while most single-family homes are of wooden frame and a four-inch brick. Element 88 will last for over a hundred years, and its design promise to remain a source of conversation for decades to come. Meanwhile, the ceilings are 12-feet-high and the doors are 10-feet tall, creating a feeling of expansiveness and otherworldliness as if one has stepped into a reality far, far away. Adding to this experience is the perfectly controlled temperature of every room. It’ll make you forget if it’s blisteringly cold or sultry outside. 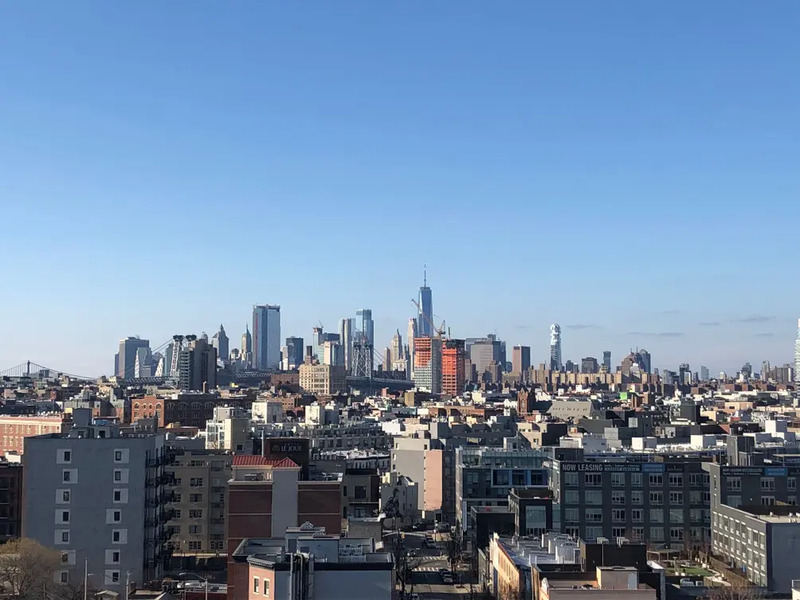 And, thanks to the sound insulation, you’d never even know you were near the BQE or in Williamsburg for that matter, as it is one of the most popular nightlife neighborhoods in the city. While sound mitigation is an important issue for Element 88 given its proximity to the expressway, it’s not a defining issue. 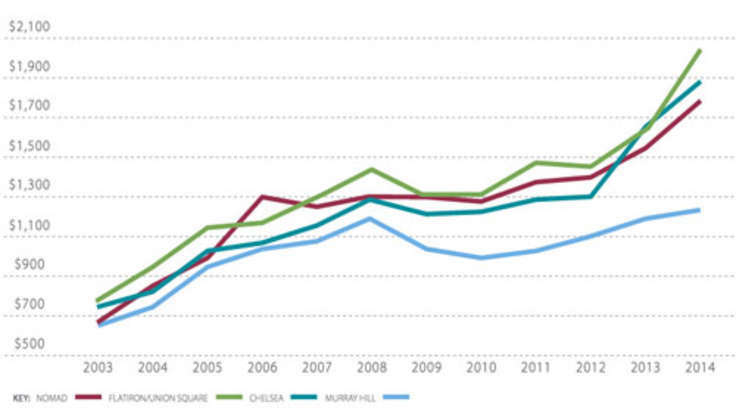 Evidenced by the fact that a third of the units are already in-contract. In part, that’s because when the windows are closed, the BQE can’t be heard. And even when the windows are open, the sound of the highway is like which noise. The matter really is literally and figuratively one of perspective. Figuratively, observing the Expressway can have a calming, even meditative effect. Roadways, after all, are the lifeblood of a city, delivering precious resources to and fro, reminding us that we’re all a part of something greater than ourselves. But if you don't agree, one can choose another apartment with exposures looking out onto the neighborhood. 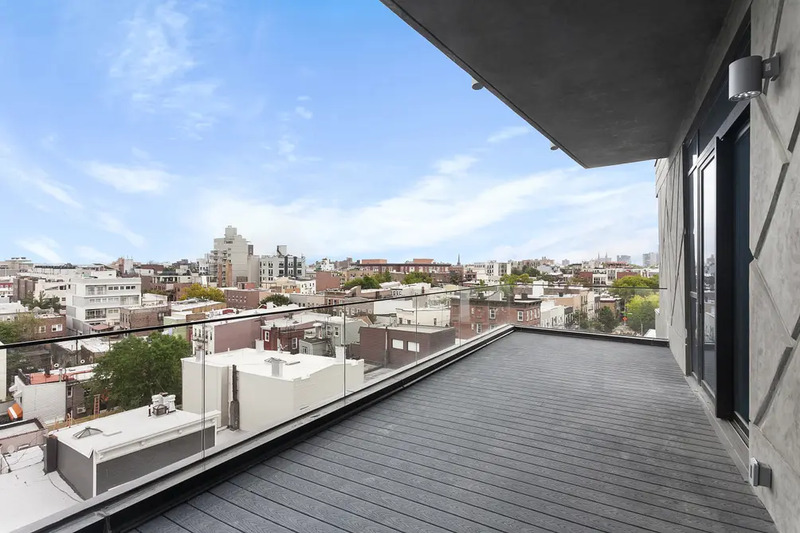 As for 88’s other attractive features, each apartment is furnished with designer appliances, Italian Scavolini custom kitchen cabinetry, and a Bosch washer-dryer. Bathrooms contain gorgeous marble accented by Toto and Grohe fixtures. There's "Element 88 Park", a 6,000-square-foot shared indoor/outdoor common area with a wet bar and commercial grill, kids play zone and a place to just lounge or sunbath. Lastly, Element 88 comes with a state of the art fitness center. Remaining availabilities are priced from $797,500 for a one-bedroom. With Element 88, though, it all comes back to what brings people to its doors in the first place: it looks cool. 88’s interior just builds on that theme. 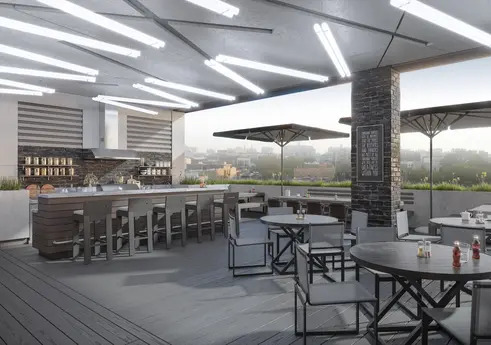 Of course, no cool building in a cool neighborhood would be complete without a cool rooftop, and Element 88 has that more than covered. From on high, you get a view of the entire NYC skyline and many of its bridges: the Manhattan Bridge, the Brooklyn Bridge, the Kosciuszko Bridge, the Verrazano, and the GWB. From up there, after a deep breath, residents can experience a simple yet profound thought: this is a cool place to call my home. Contributing Writer Ben Kharakh Ben Kharakh is a writer and comedian living in the New York City metropolitan area. His work has appeared in Vice, Fortune, and The Best of McSweeneys: Humor Edition by Vintage Press.